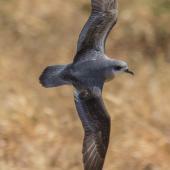 Black-winged petrels are small grey-and-white seabirds that breed on numerous small islands in the south-western Pacific Ocean. 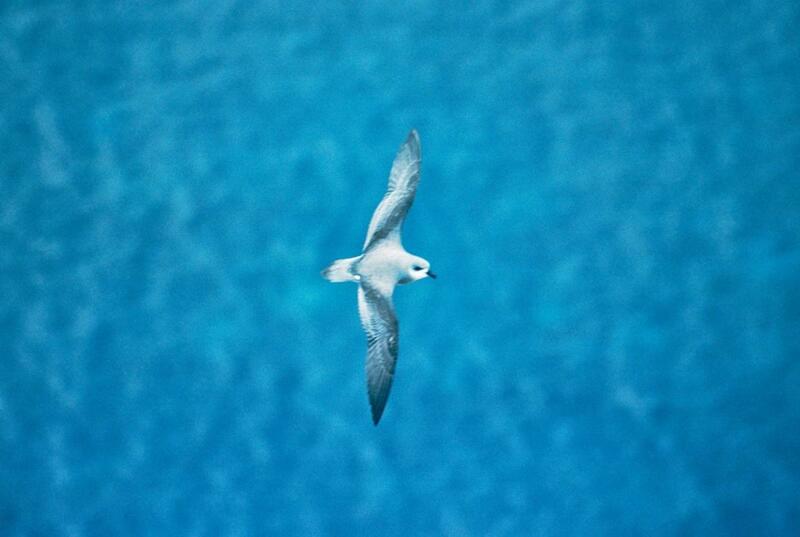 The largest colonies are on the Kermadec Islands, 1000 km north-east of New Zealand. 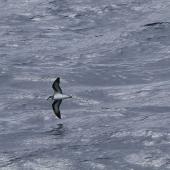 They are one of the commonest seabirds in northern New Zealand but few people have seen them as they feed far out at sea. 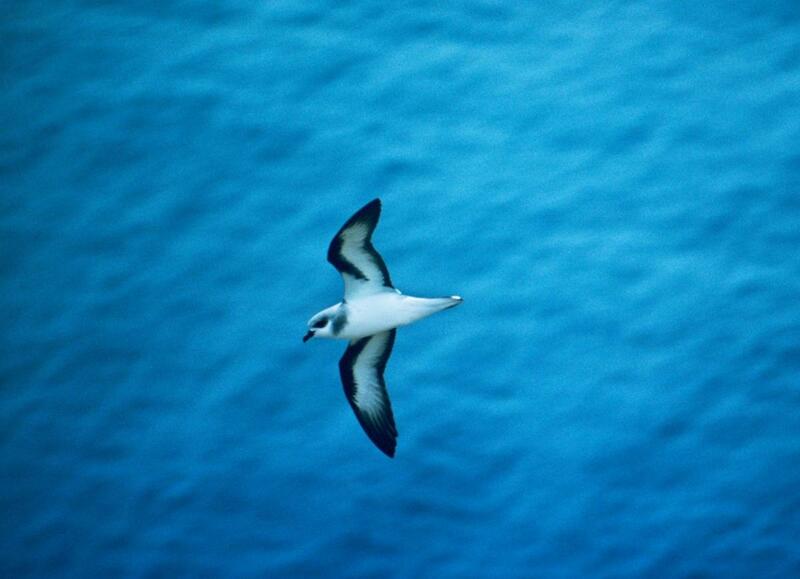 They feed on small crustaceans and squid, mostly picked off the ocean surface during long distance flights covering many thousands of kilometres. 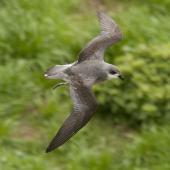 Black-winged petrels are the most abundant species in the Pterodroma petrel group (34 species). 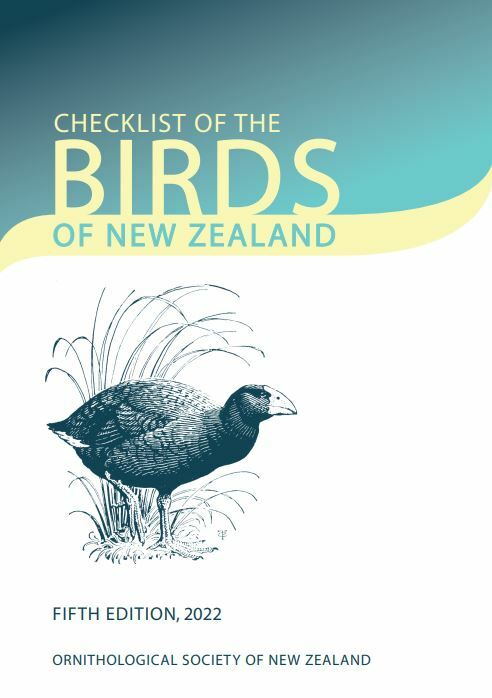 New colonies are forming around New Zealand as the species expands in numbers and range. 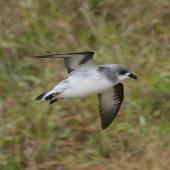 The black-winged petrel is a small grey-and-white gadfly petrel with narrow wings and a pointed tail in flight. 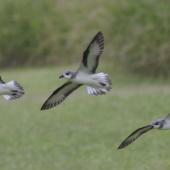 It has a pale-grey head with black-and-white speckling on the forehead and a dark eye patch. 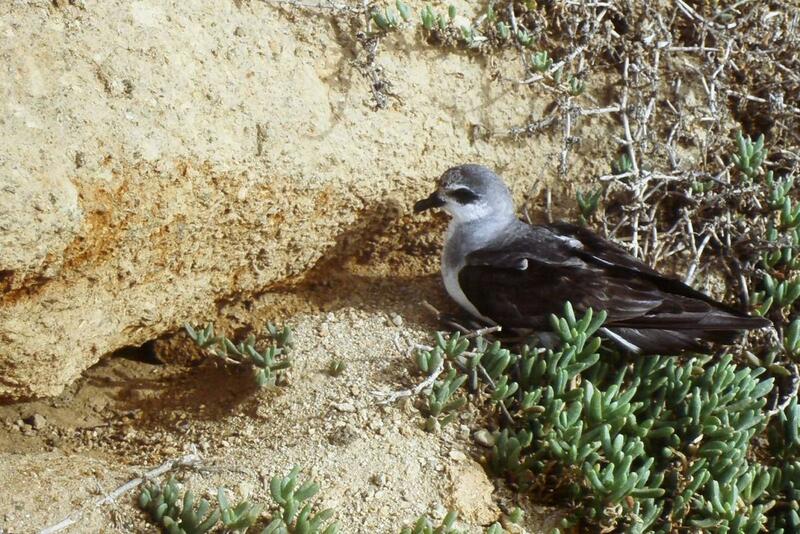 The upper surface is grey contrasting with darker brown-black feathers running across the upper wings and rump. 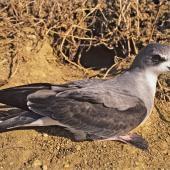 An extensive grey collar extends onto the otherwise white underparts. 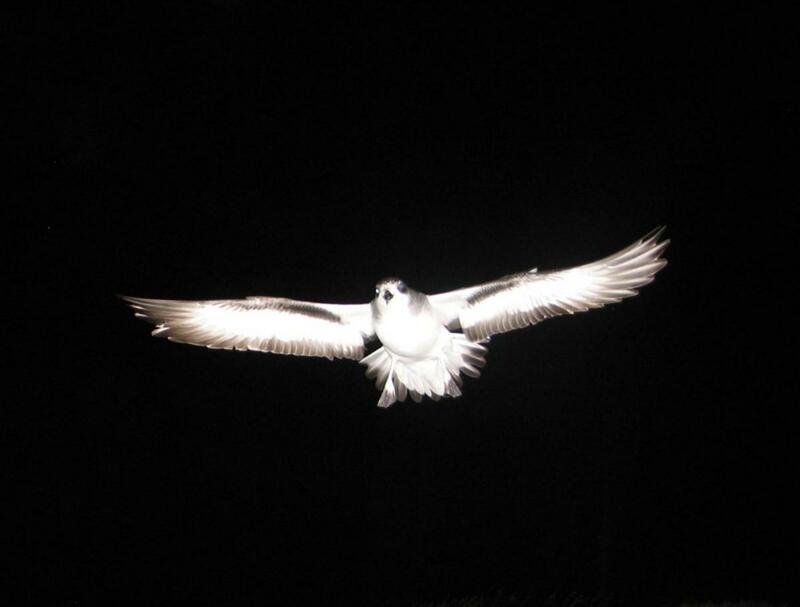 The underwing is mostly white but has a diagnostic broad dark line on the leading edge of the outer wing; this continues as a broad black diagonal stripe on the inner wing, reaching towards, but not meeting, the mid base of the wing. 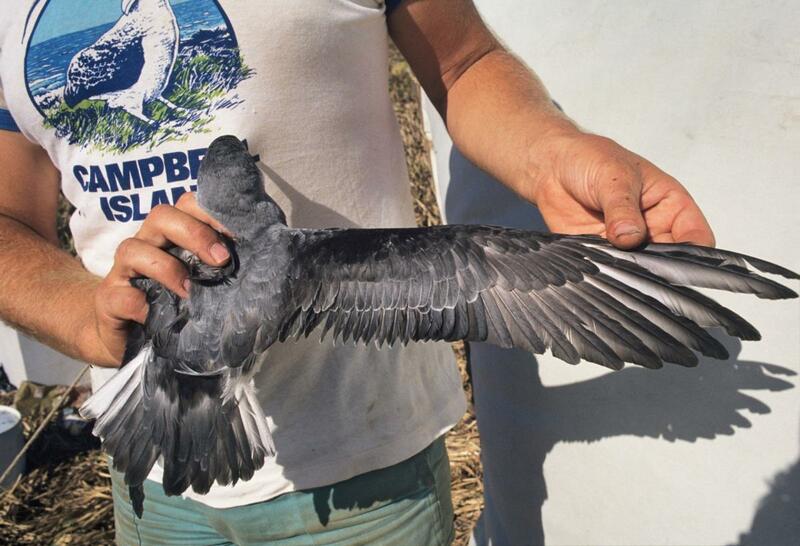 In the hand, the black bill (23-26 mm long, 10-12 mm deep) has a sharp hook to seize prey. The legs are usually pink but can be blue or mauve. 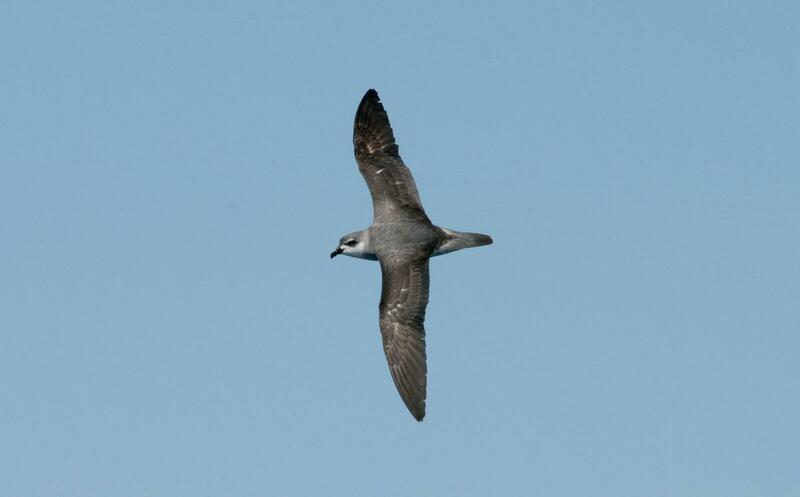 Voice: black-winged petrel calls are mainly high-pitched whistles (whis-whis-whis or wee-wee-wee) and lower-pitched ground calls (ha-ha-ha). 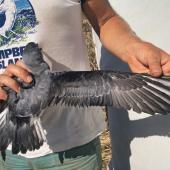 Similar species: Cook’s and Pycroft’s petrels have a shorter and thinner black leading edge on the under-wing; Gould’s petrel has a darker head forming an extensive dark cap; Chatham petrel has the dark under-wing bar extending to diagnostic dark axillaries (‘armpit’ feathers). 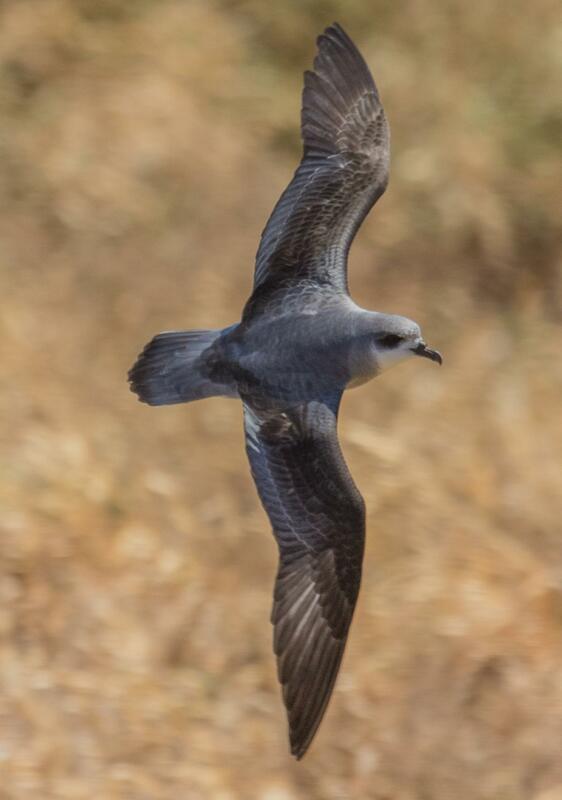 Black-winged petrels breed in colonies on the Kermadec Islands (all islands and islets), Three Kings Islands, Motuopao, Matapia, Simmonds, Motukokako, Burgess, East and Portland Islands. There are also small numbers on Rangatira and Mangere Islands in the Chatham Islands. 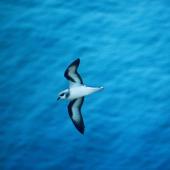 Elsewhere, they breed on Phillip and Lord Howe Islands, and islets off New Caledonia and Rapa Island. 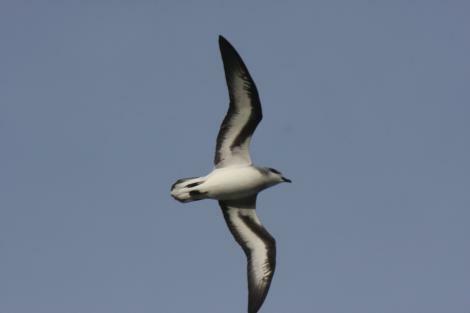 Recently, they were confirmed breeding on Round Island in the Indian Ocean. 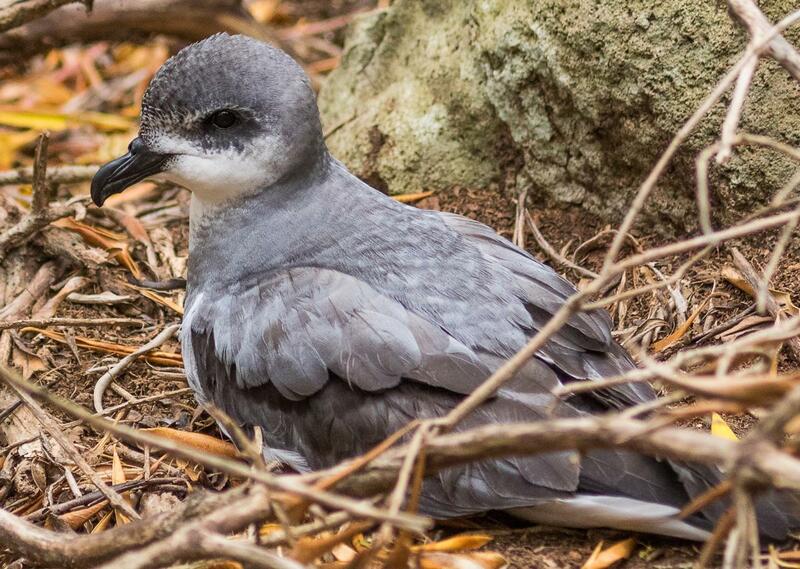 The eradication of rats and cats on Raoul Island has seen a rapid expansion of black-winged petrels back onto this former breeding site. 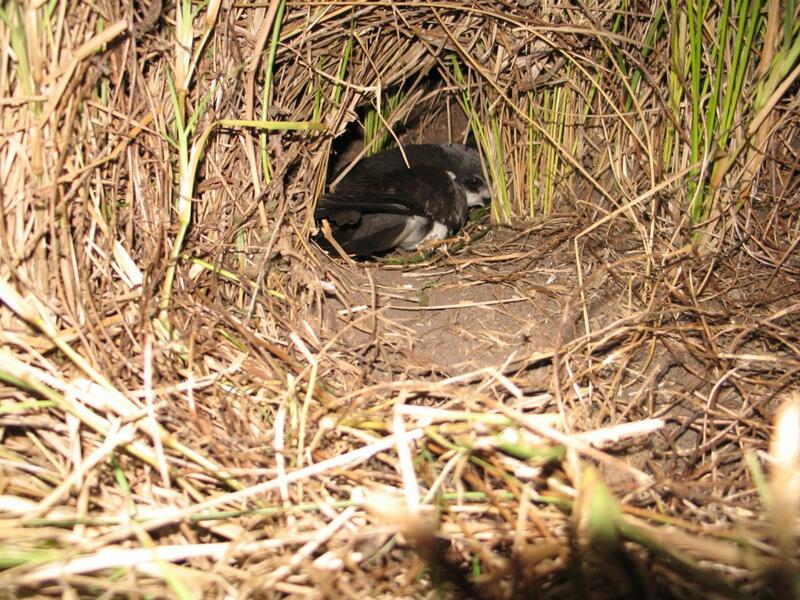 Black-winged petrels nest in burrows anywhere there is suitable soil including under forest, shrubs, sedges, ferns and grass. 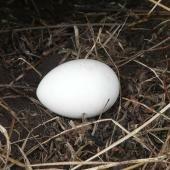 They can also nest on the surface under dense cover of grass and sedges, and some birds nest in rock crevices. 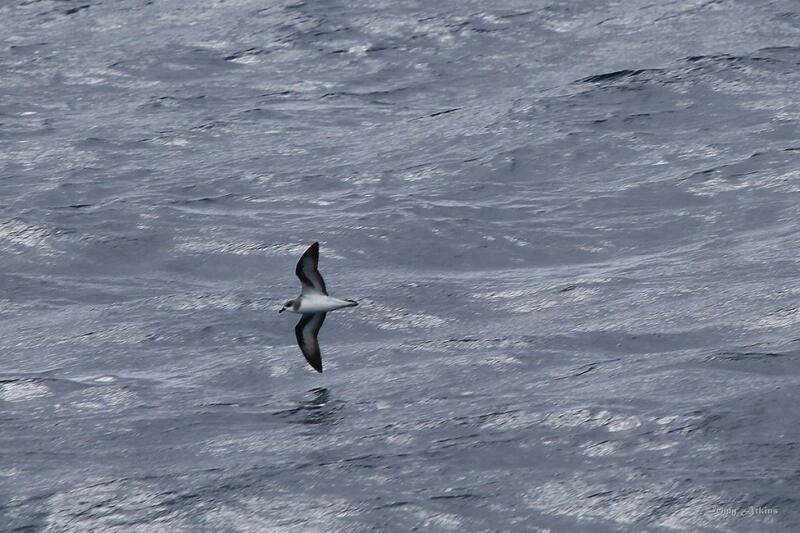 Black-winged petrels forage mainly over sub-tropical waters north of the sub-tropical convergence zone. 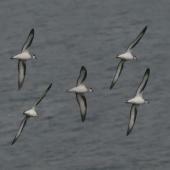 They forage over deep water beyond the continental shelf and seldom feed close to the breeding islands. 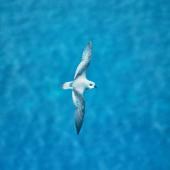 After breeding they migrate to the North Pacific Ocean, to an area north-west of the Hawaiian Islands. 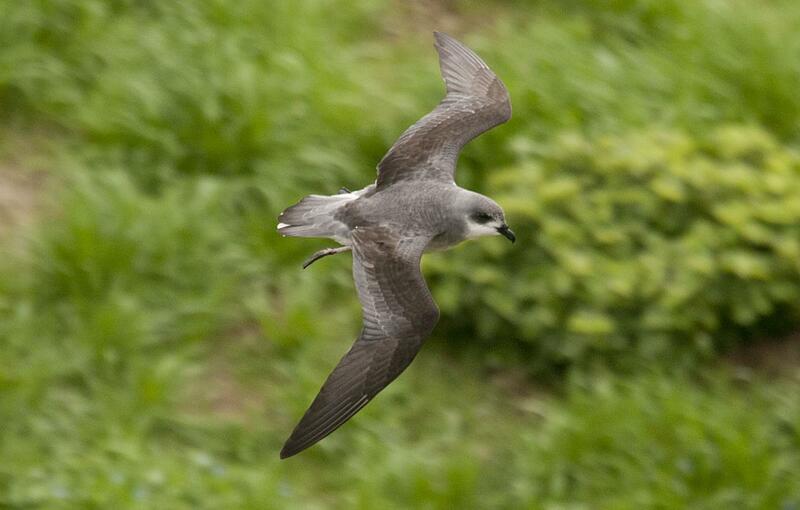 Black-winged petrels are one of the most abundant seabirds in New Zealand. 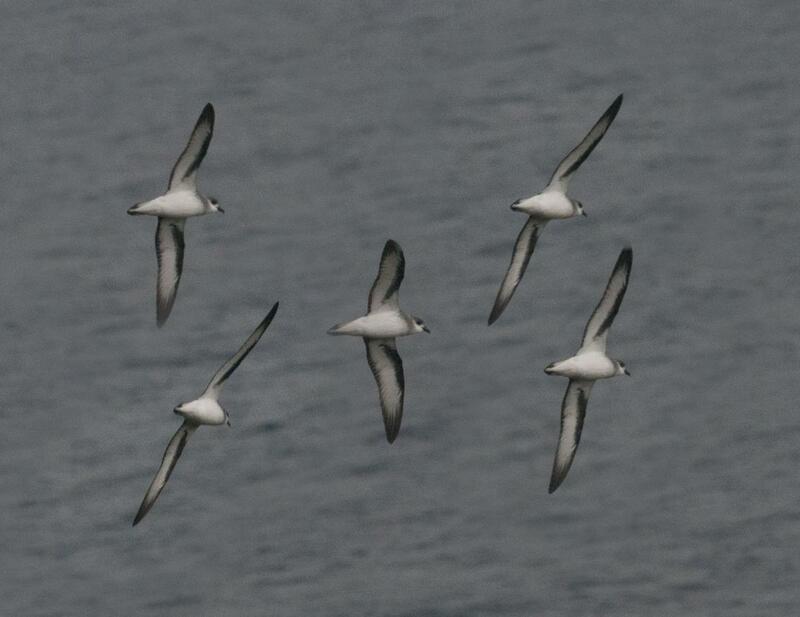 The colony of 2-3 million pairs on 282 ha Macauley Island (Kermadec Islands) is the largest seabird breeding site in New Zealand and one of the largest seabird breeding colonies in the world. 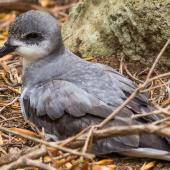 Another 300,000 pairs nest on nearby Curtis Island. Burrow densities reach 2/m2 on these islands. Elsewhere the colonies are much smaller with few holding more than a thousand pairs and some of the newly established sites have just a few tens of pairs. 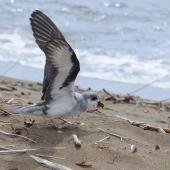 The major threat to black-winged petrels, as it is for all gadfly petrels, is the introduction of mammalian predators on their breeding grounds. Pacific rats were eradicated on Macauley Island in 2006, and Norway rats, Pacific rats and feral cats were eradicated on Raoul Island between 2002 and 2004. 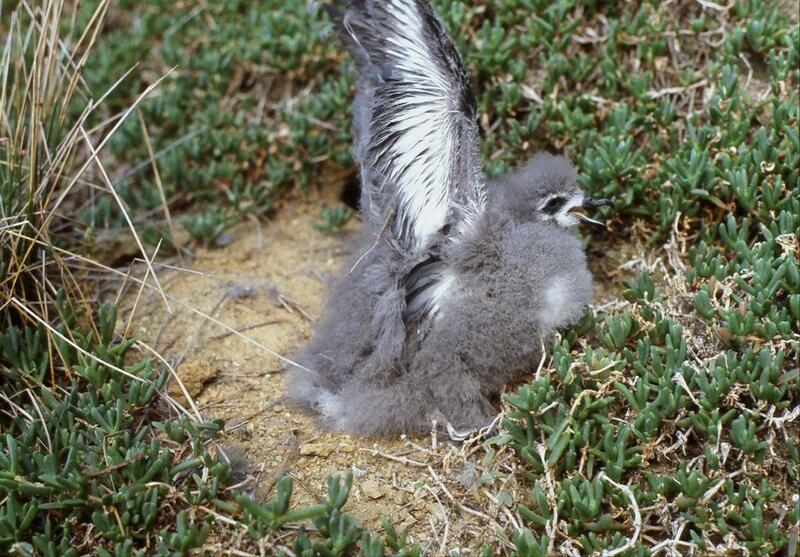 Most of the remaining breeding sites around New Zealand are free of introduced predators. 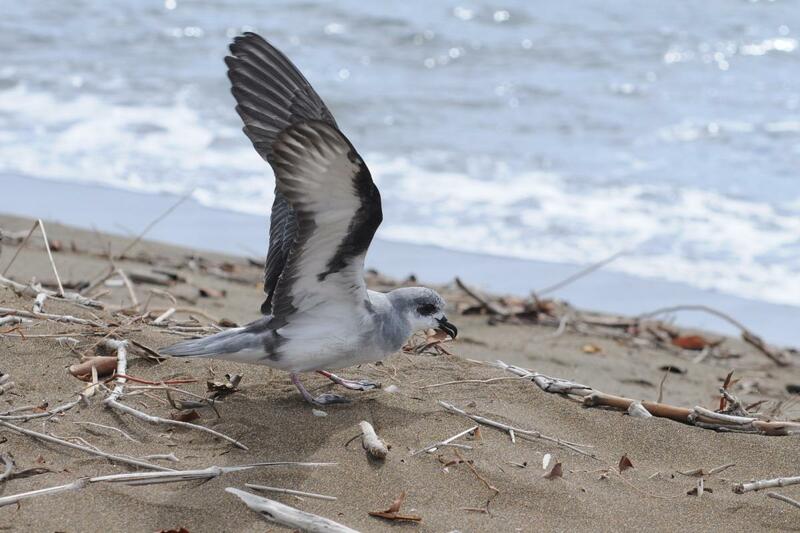 Volcanic eruptions and fire are probably the main land-based threats remaining for this seabird. 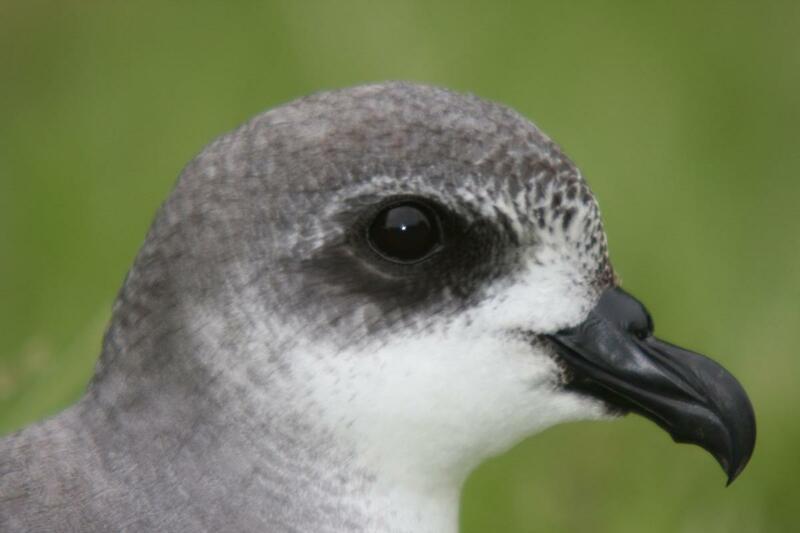 The risk to small gadfly petrels from fisheries impacts appears to be minimal. 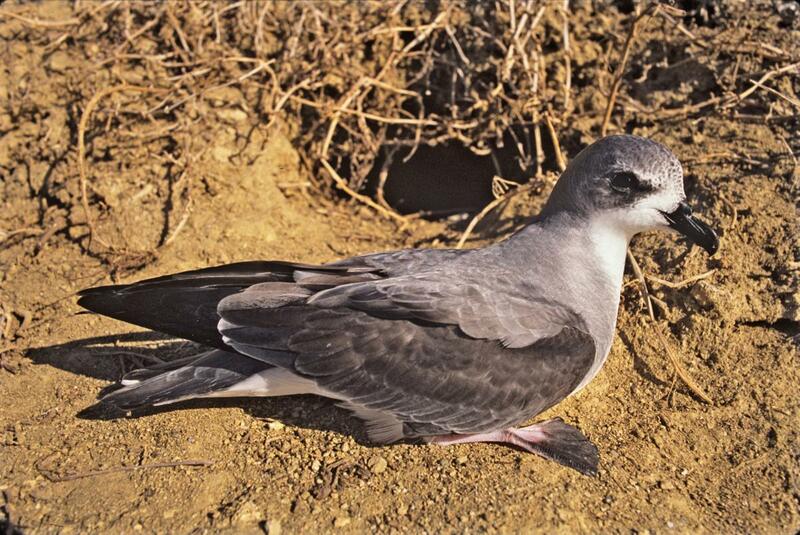 The black-winged petrel breeding season is from October to May. 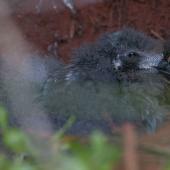 Most birds breed annually and the same pairs can breed together and rear many chicks over multiple years. 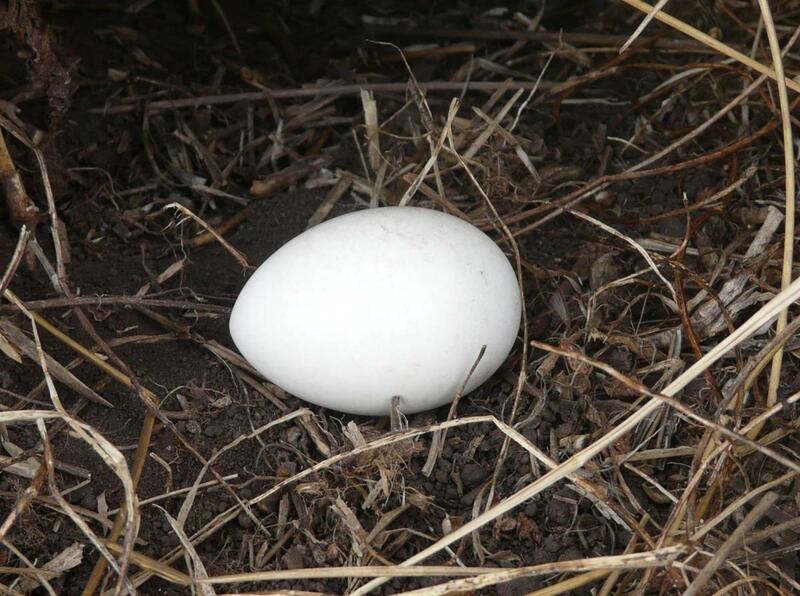 The single white egg (52 x 37 mm) is laid from late December to late January in a well-lined burrow chamber (burrows can be as short as 0.5 m). 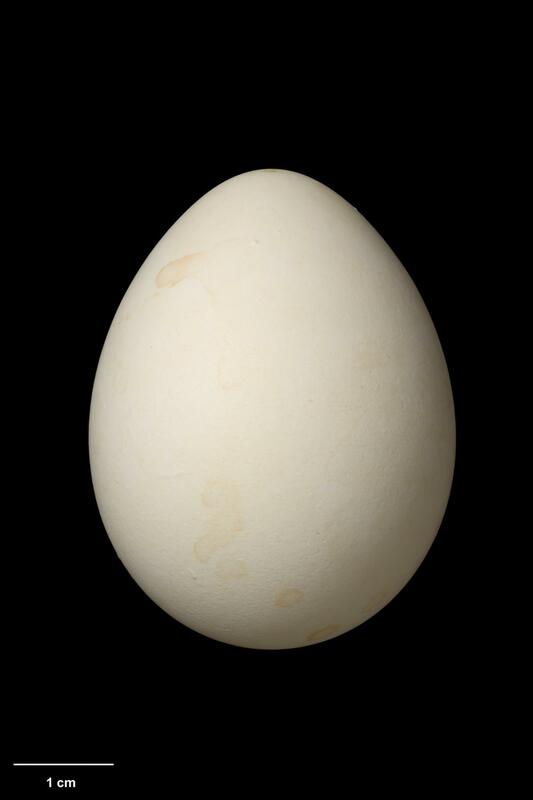 Both birds share incubation shifts of about 13-14 days, and the egg hatches after c.45 days, in February or March. 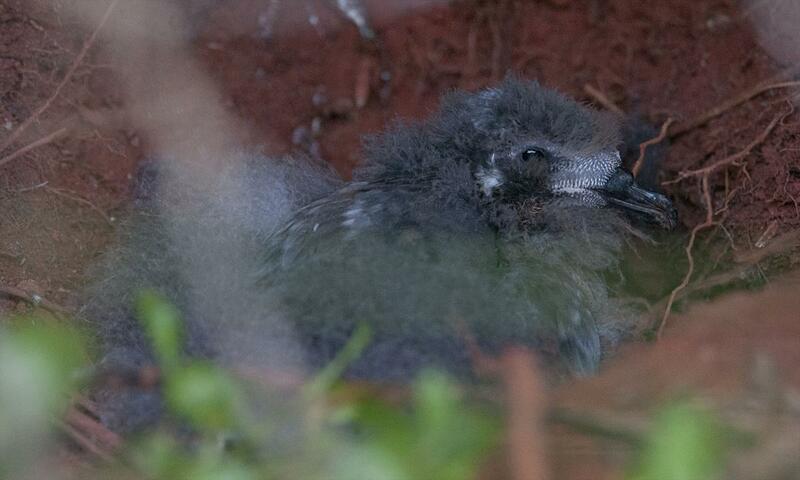 The chick is fed at 2.5 day intervals, with each adult returning on average every 4.4 days. 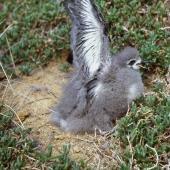 Meal-size remains constant throughout the chick-rearing period and averages 32.6 g. Chicks are not fed in the period 10 days prior to departure and are independent of the parents after fledging at c.85 days old. 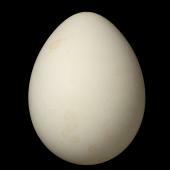 Related species return to colonies at 2-3 years of age and typically start breeding when 5-10 years old. 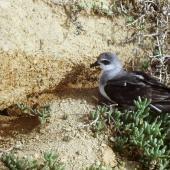 Black-winged petrels are unusual amongst New Zealand burrowing petrels in that many birds visit their breeding grounds throughout the day. Activity ashore increases after sunset. 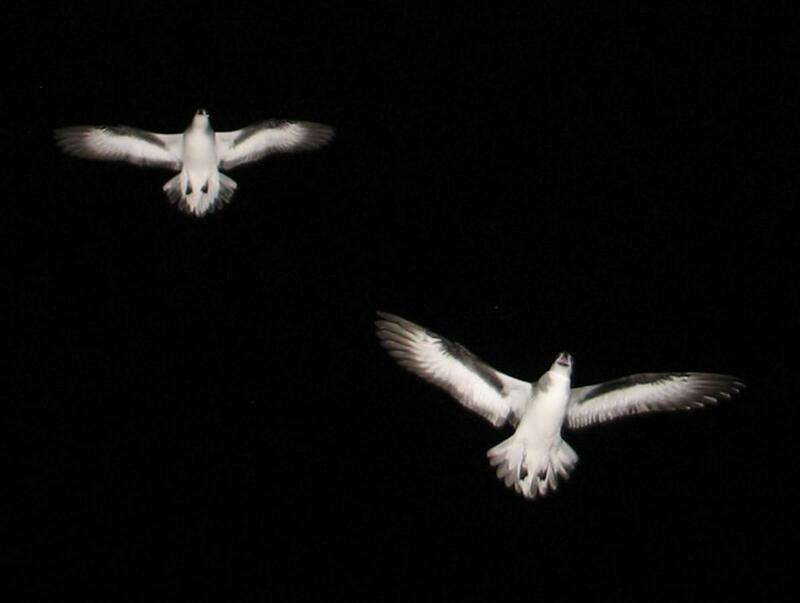 The sight and sounds of millions of petrels circling and calling over Macauley Island in the evening is spectacular, but witnessed by few people due to the remoteness of this site. 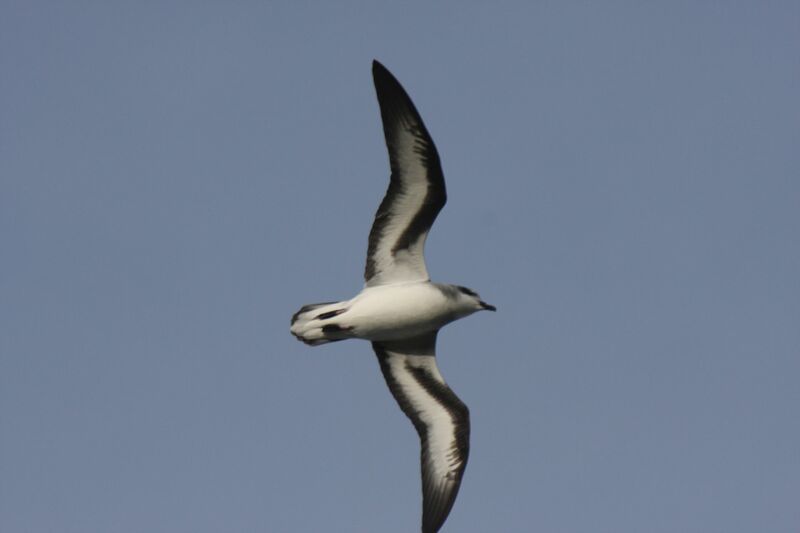 At small colonies the far-carrying calls are usually the first indication that black-winged petrels are present. 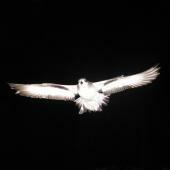 Calling on the ground is also common with the birds responding to low passes of birds calling in flight. 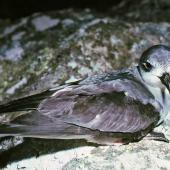 Recent tracking studies have shown that black-winged petrels are capable of flying thousands of kilometres to locate food when breeding. 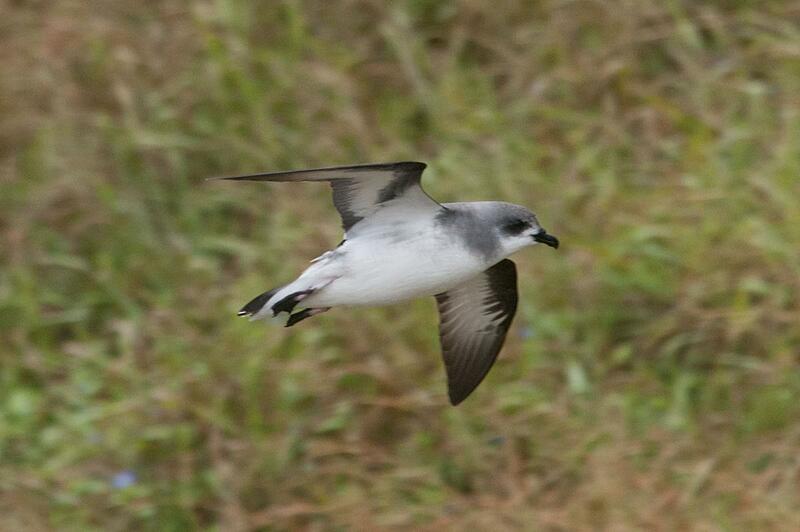 Black-winged petrels have been recorded feeding on crustaceans and small squid. 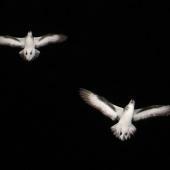 Activity recorders used on tracking devices indicate that the birds gather food both by day and night. Most food is caught in the top 2 m of the ocean’s surface. Hutton, I.; Priddel, D. 2002. 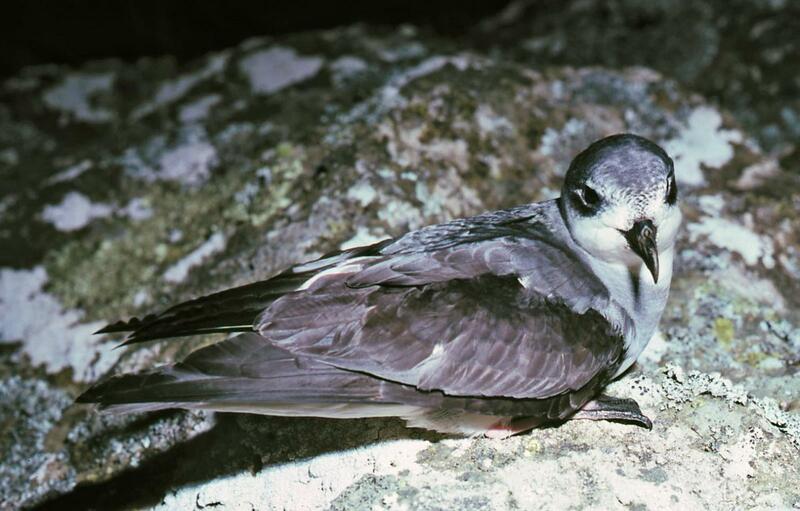 Breeding biology of the black-winged petrel, Pterodroma nigripennis, on Lord Howe Island. Emu 102: 361-365. Jenkins, J.A.F. ; Cheshire, N.G. 1982. 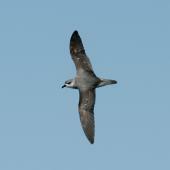 The black-winged petrel (Pterodroma nigripennis) in the south-west Pacific and the Tasman Sea. Notornis 29: 293-310. Tennyson, A.J.D. 1991. 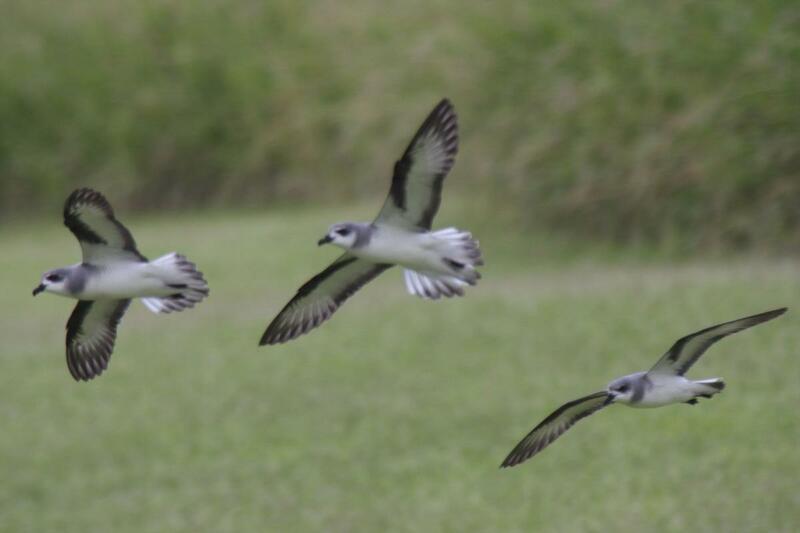 The black-winged petrel on MangereIsland, Chatham Islands. Notornis 38: 111-116. 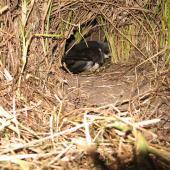 Nests in well drained site, usually under grass, sedges or ferns and lined with dried grass, twigs or leaves. 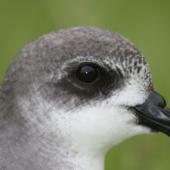 A small gadfly petrel with pale-grey head, dark eye patches, black hooked bill, a broad dark line on the leading edge of the outer wing that runs diagonally towards the body along the mostly white inner underwing, and a white breast and belly contrasting the grey upper surface which has darker brown-black feathers running across the upper wings and rump. The legs are pink and the tail is pointed.